Here's another project for our upcoming rubber stamping class. This fast and easy Sweetheart Treat Box can be made with any designer card stock or your own hand-stamped decorative 12 by 12-inch card stock. Put together the box, gluing strategically. Use the Heart of Hearts Embosslits die to cut and emboss two hearts from designer paper. 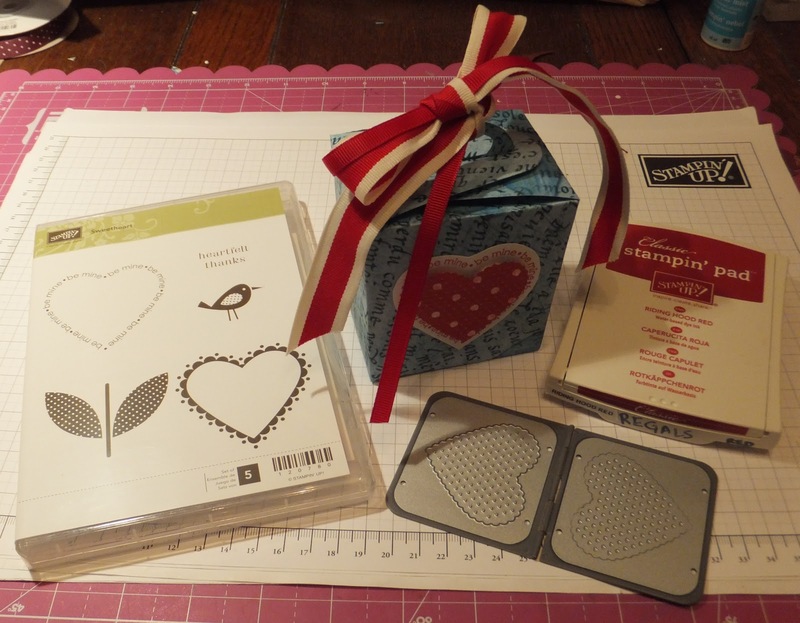 Ink up the Be Mine heart stamp with Riding Hood Red and stamp onto white card stock; make two hearts; trim them. Put together red and white hearts, and stick them on the box. Fill the box with treats for your honey. Close up the box and decorate with ribbon.